Standing in Your Light (Changes abound). 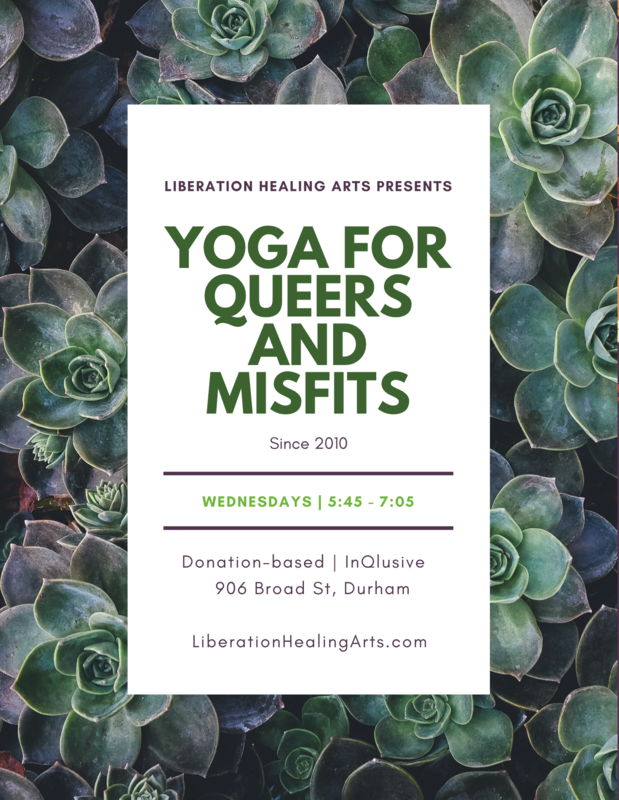 Wednesdays 5:30 – 6:45 InQlusive Yoga and 7:00 – 8:30 Yoga for Queers and Misfits. Saturday 10:30 – 12. Note I have a sub this week, I’ll be back next week. Two chances for yoga with me this week: Wednesday at 5:30 and 7:00. NEXT WEEK: CLASS SCHEDULE AND LOCATION ARE CHANGING. GO HERE FOR FULL DETAILS. This is a time of transition for many. Scholastic calendars, seasonal shifts, birthdays, babies. So many things are in flux, so many things taking new shape. So what’s new? The only constant is change. In yoga we call this Pulsation. The Divine Dance. Lila (pronounced LEE-luh). It is the magic of the Universe that is constantly presenting itself in new and different, ever-more magical and mysterious yet utterly accessible forms. Ironically, it is by flowing with Grace, dancing with the Divine, that you create steadiness. Opening yourself up to the creative power of Consciousness in each moment. Knowing and acting as if you are always being held. Standing in your light and blasting it out! Looking to the outside world for steadiness and stability will only make you vulnerable to the inevitable shifts to come. The only true source of steadiness is within yourself. So you must learn to stand tall in your light, no matter what the circumstances; revel in the mysteries no matter how unforeseen. Squeeze all the juice out of life as fuel for the fires of your transformation. It starts when you take your place on the mat, stand tall in your light, and open to grace. See you there. This entry was posted in Uncategorized and tagged all-levels yoga, anti-oppression, community based yoga, donation-based yoga, durham yoga, durham yoga company, inclusive yoga, patty adams, queer yoga, resilience, self-care, social justice, social justice yoga, trauma-informed yoga, yoga, yoga for all, yoga for queers, yoga in durham. Bookmark the permalink.